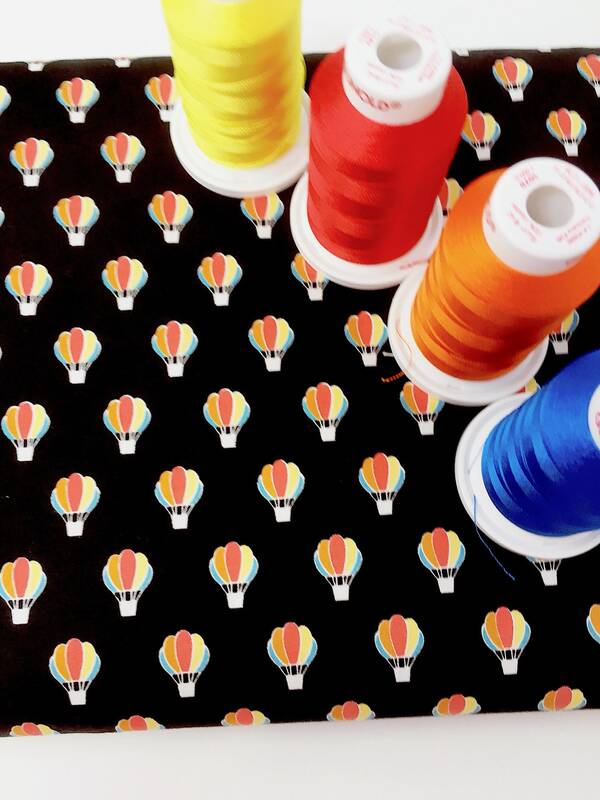 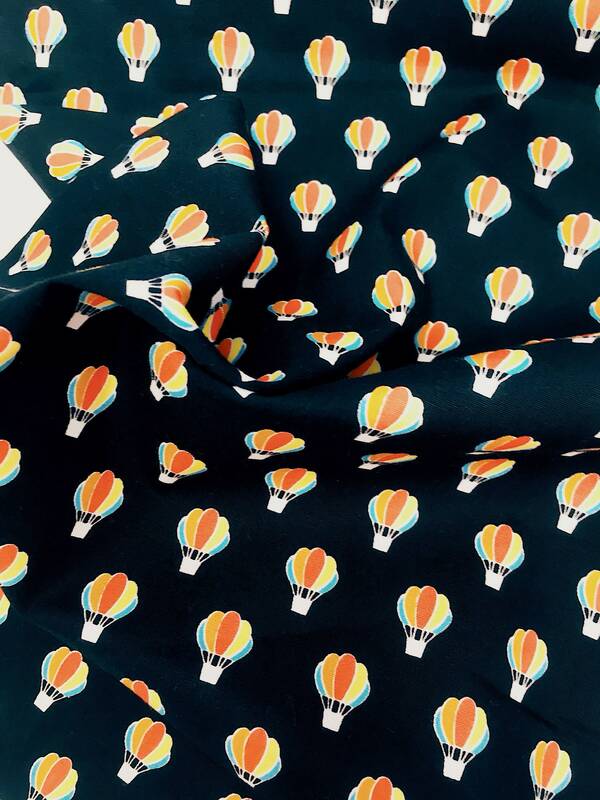 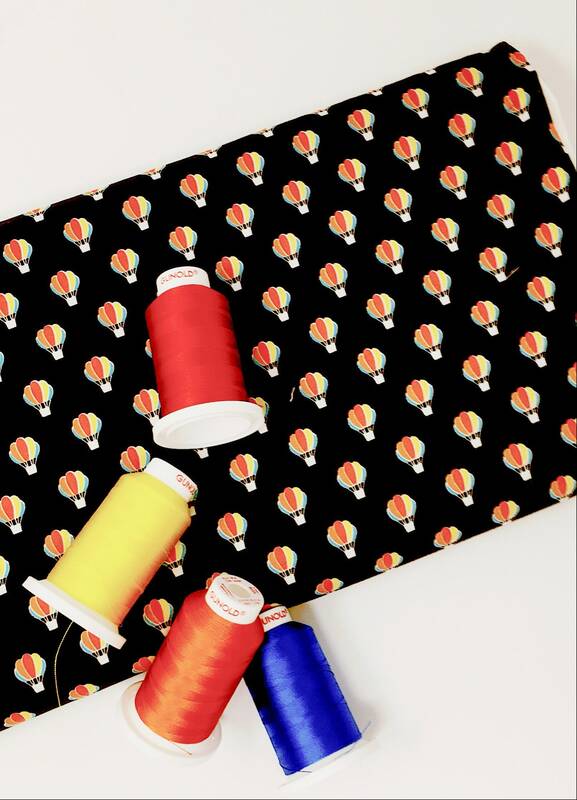 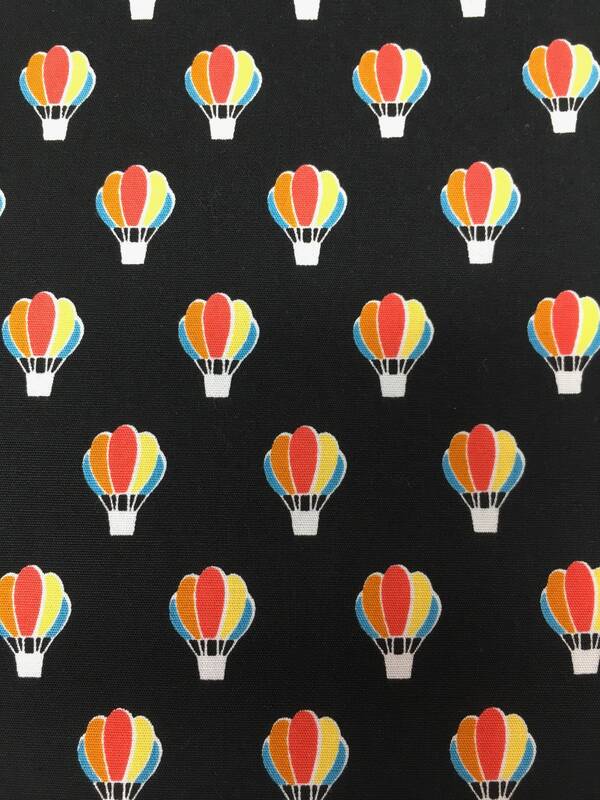 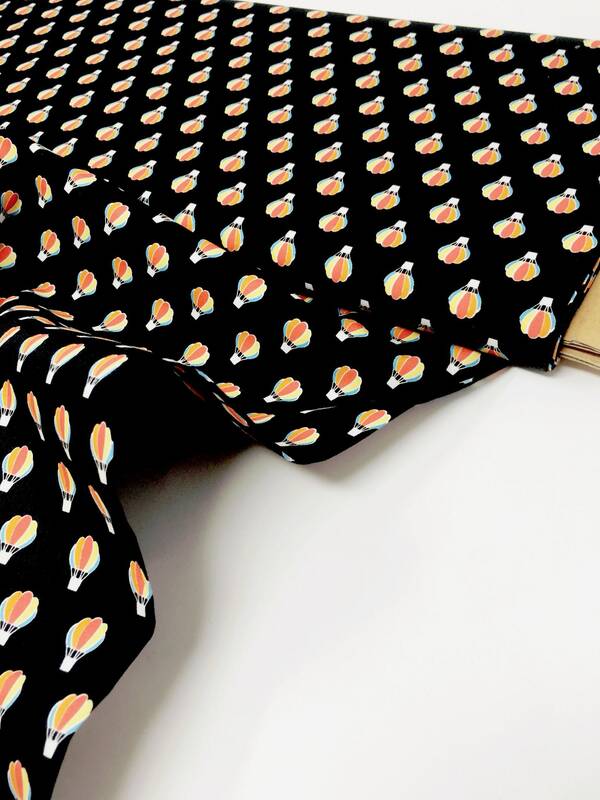 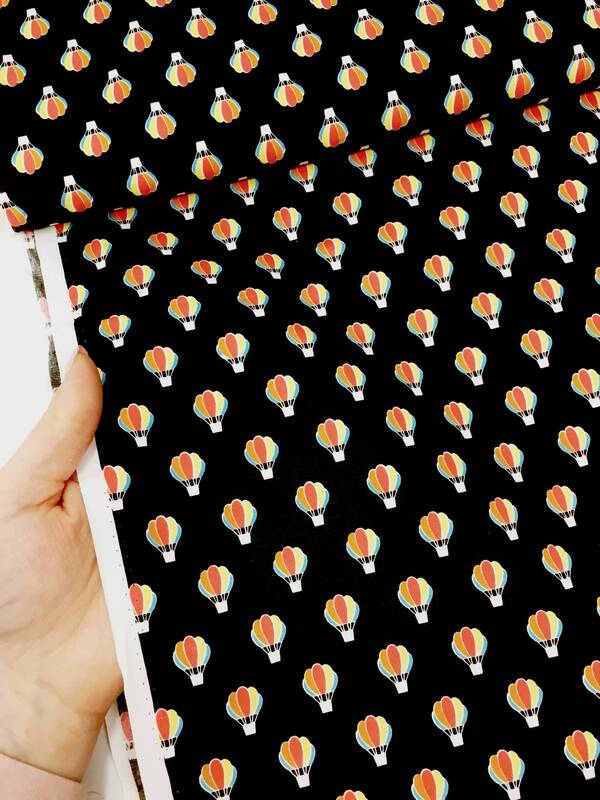 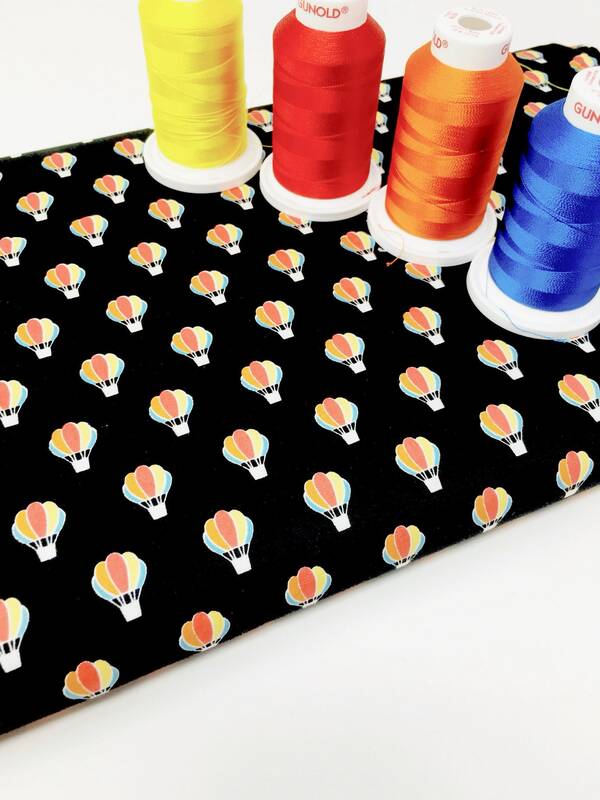 Sevenberry Hot air balloon printed cotton. 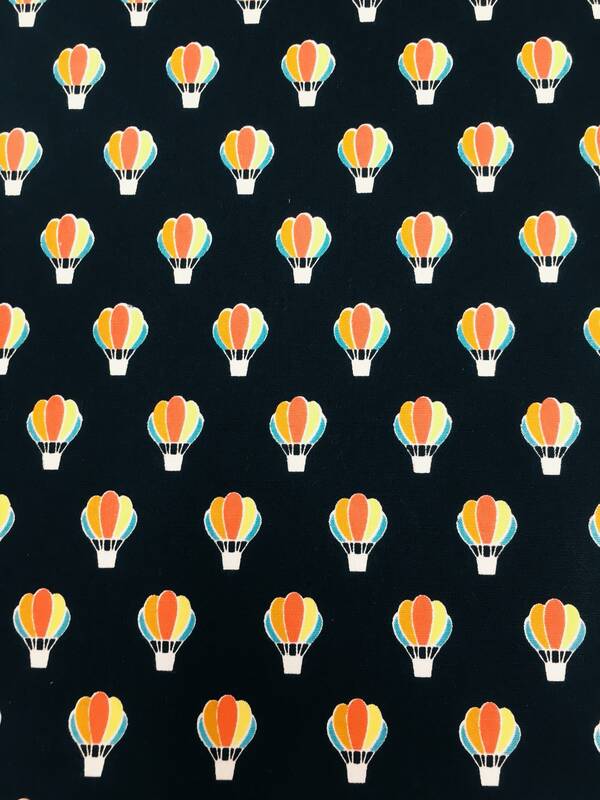 The background of this print is black with muliticoloured hot air balloon motifs. 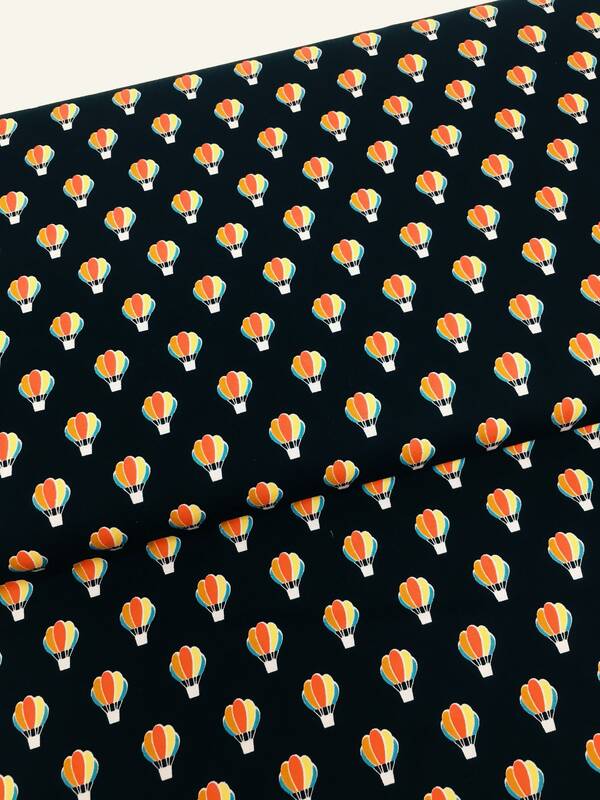 This striking black fabric is perfect as a quilt fabric as well as being ideal for home decor or nursery decor. 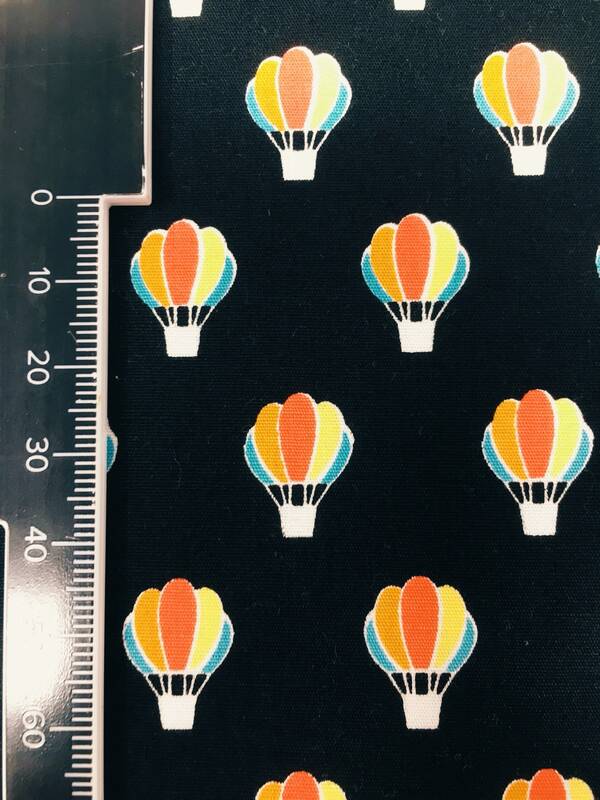 I have stitched this fabric into a little girls dress as well as relaxed harem trousers and it looked beautiful.